Iran's 'utter disregard for human rights' in its execution campaign against Ahwazi Arab political prisoners was condemned by British Foreign Secretary William Hague this week. His condemnation follows last month's death sentences passed on five Ahwazis for 'enmity with God', weeks after four other prisoners were killed. Hague has vowed an international response to the executions, which have been accompanied by several extra-judicial killings of men arrested for minor offences such as calling for demonstrations and political graffiti. The Foreign Secretary said: "I am deeply disturbed by the human rights abuses perpetrated by Iran in recent months. "The torture and sentencing to death of Mohammad Ali Amouri, Sayed Jaber Alboshoka, Sayed Mokhtar Alboshoka, Hashem Sha'bani Amouri and Hadi Rashidi, from the Ahwazi Arab minority, comes less than a month after the secret execution in June of four other members of this minority group. This sets a very worrying trend. "Sadly, these are not isolated incidents and many other Iranians are currently suffering at the hands of their government. Iran's continued, widespread persecution of ethnic minorities, human rights defenders and political prisoners is a disgrace and stands as a shameful indictment of Iran's leaders. "The Iranian government should know that its systematic attempt to curtail the freedom of its citizens will not go unchallenged by the international community and only adds to its isolation. "I call on Iran immediately to commute these death sentences, to stop torturing its citizens and to end the systematic persecution of its ethnic minorities." 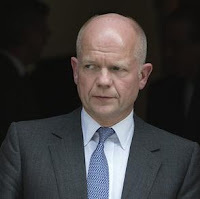 Foreign Secretary Hague has stepped up pressure on Iran over the treatment of Ahwazi Arabs following a cross-party parliamentary motion highlighting the poverty and illiteracy caused by discrimination against Ahwazis and continued violent repression by the Iranian government. The motion called on the British government to challenge Iran's refusal to implement the recommendations made by the Working Group on the Universal Periodic Review on Iran of 2010 that call for the guarantee of the protection of the civil and political rights of all, particularly dissidents and members of minority groups and the end of torture and secret detention. Daniel Brett, director of the Ahwazi Arab Solidarity Network (AASN) which has supported Ahwazi lobbying efforts, said: "The UK's coalition government has responded favourably to Ahwazi Arab struggle for collective rights and democratic freedom, which has the potential to change Iran for good. Ahwazi Arabs in Europe will be stepping up their campaigns against executions and for collective rights over the coming months to win international support for an 'Arab Spring' in Iran."